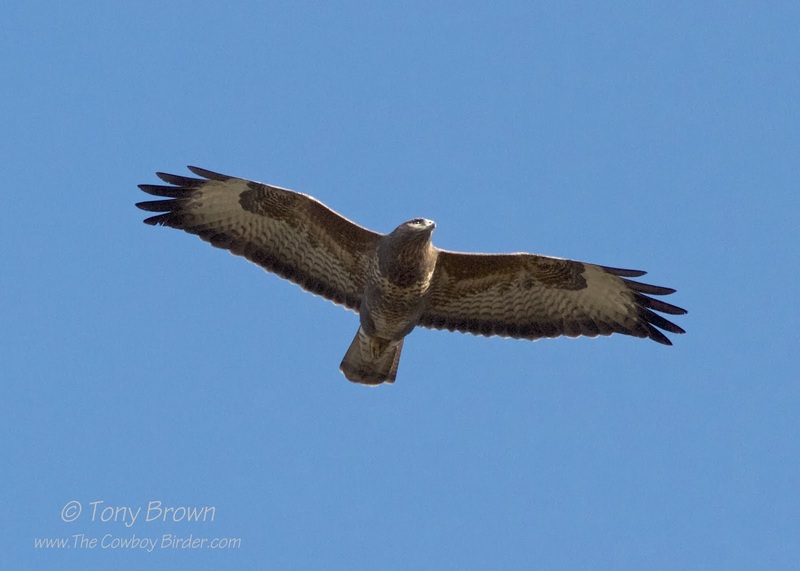 The Cowboy Birder: Buzzard, common - and I'm glad they are. Buzzard, common - and I'm glad they are. The sun finally put in an all too welcome appearance on Sunday afternoon, bringing out my first sightings this year of bumblebee and small tortoiseshell butterfly. 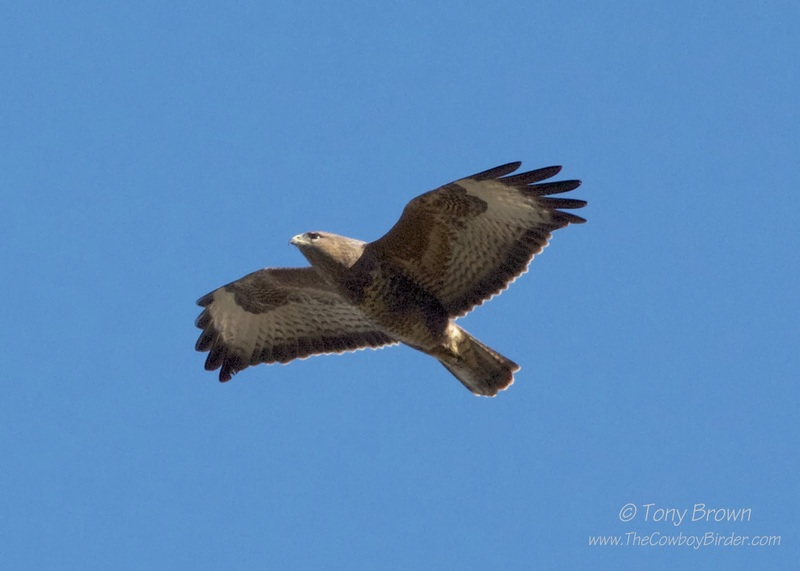 I also enjoyed cracking views of this Common Buzzard as it drifted and circled over the lake at Connaught Water in Epping Forest. 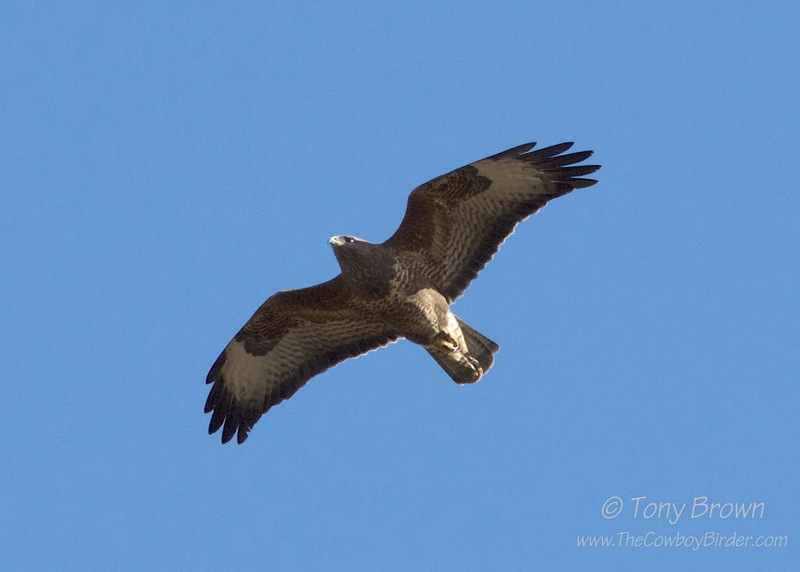 To think, a little over a decade ago these large raptors were quite a rare sight in eastern parts of the UK, after being on the end of many years of persecution. I remember having to drive west down the M4 to have any chance of seeing one, but now you can regularly pick out one or two birds as you drive across most parts of the UK, and I can usually guarantee seeing the odd bird casually drift high over my garden during the summer months on the back of a thermal - how good it is to see these birds enjoying a remarkable change in fortunes. The controversy last year regarding the governments proposals to license the destruction of Common Buzzard nests to protect Pheasant shooting estates (and then the well publicised government u-turn in response to public concern) - highlighted just how much passion there is in the UK to preserve our native birds and wildlife, and I for one, hope this trend continues and Buzzards remain a common sight in our skies for many years to come. What's a cowboys favourite relish?